A few days after my wonderful week in Paris, I had to do a quick trip to Singapore for doctor’s appointments (we have become medical tourists since moving to Bali) and spent a couple of nights at the newly-renovated Ritz-Carlton Millenia. 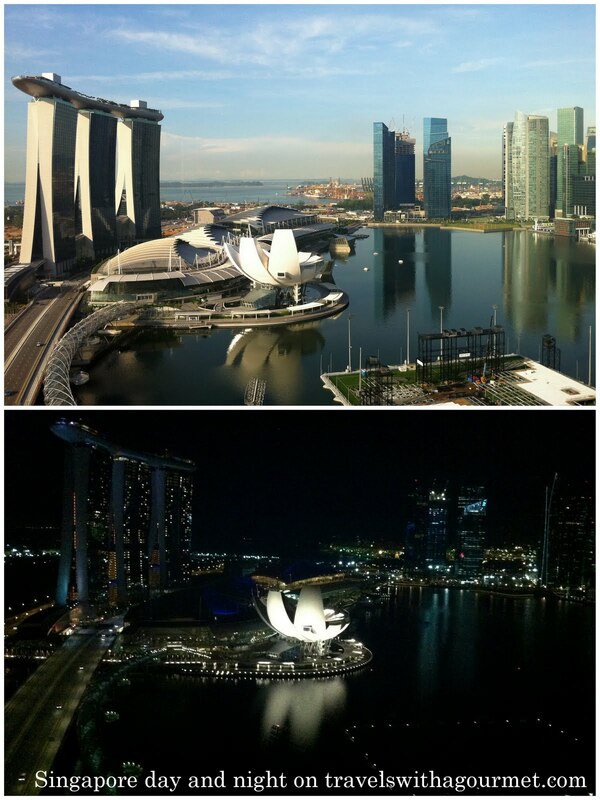 As you can see from the photos, we had a fantastic view from our room on the 24th floor with the marina and the modern Marina Bay Sands complex right in front of us, aside from the famous view of the ferris wheel from our bathtub. Much of our time there was spent at Mt. Elizabeth and the rest on doing errands (stocking up groceries like bagels and Cheerios which we can’t get in Bali) and doing a quick IKEA run for their colorful paper napkins and a few things for the kids. On one of the evenings though, we managed to organize a family event with my aunt who was visiting, a cousin from my mom’s side who lives in Singapore and another cousin from my dad’s side with his young son and we all met for an early dinner at Ah Hoi’s Kitchen at the Traders Hotel. 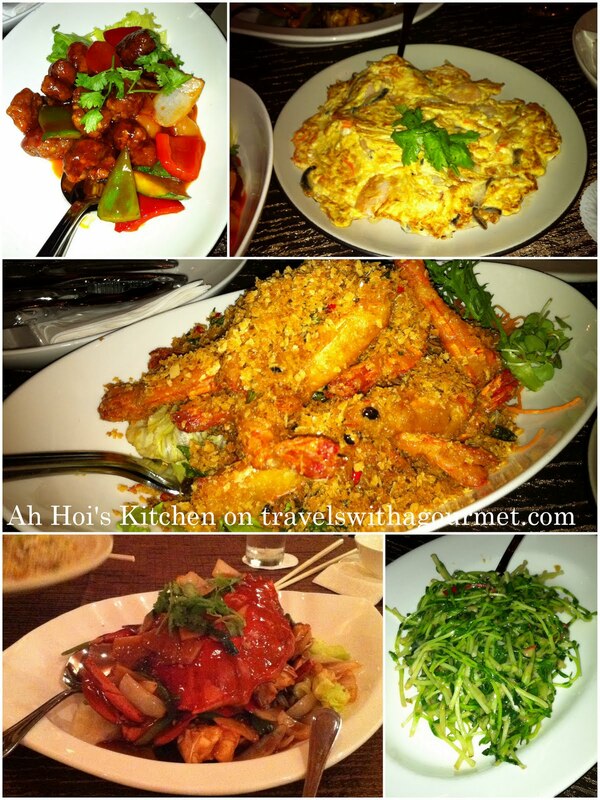 Ah Hoi’s Kitchen is a mainstay for us in Singapore and a restaurant that we have been to several times (my younger sister used to work at the Traders Hotel and we had many meals here in the nineties). Not much has changed interiors-wise. The place is still an open-pavilion right by the pool area with lots of large tanks where fish and crab are displayed. The reason we chose to have dinner at Ah Hoi’s is that they have Sri Lankan crab, those extra large, meaty crab and the night, crab was what we wanted to eat. We ordered the Sri Lankan crab, not chili-style as many in the group couldn’t handle spicy food so we chose to have it cooked the milder way with ginger and spring onions instead. We also had their famous cereal prawns which is an original Singaporean dish of prawns stir-fried in a mixture of dry cereal oats and chili. Along with that, we had their version of oyster omelet, another hawker center favorite, this time done with crab instead of oysters. There was also some stir-fried pea shoots. For the kids, we chose the sweet sour pork which was hot crispy sweet and sour at the same time, along with stir-fried broccoli and fried rice. The food came out fast and luckily, the quality hasn’t changed over the years – it was still as good as before. I’m off to Singapore again in a few days and I think I may just have to take my husband and son to Ah Hoi’s for another meal.